At The Sexton Law Firm in Knoxville, Tennessee, we provide quality legal representation in a variety of practice areas in order to help you with virtually any legal issue you have that affects your livelihood, your finances and your future. Our law firm's founder, David Sexton, is a Knoxville native with more than 25 years of legal experience. A local attorney you can trust, Mr. Sexton promises to do whatever is necessary to help you protect your rights and interests and will fight to achieve the most favorable outcome possible for your difficult situation. Having helped hundreds of individuals and families through their most difficult and uncertain times, Mr. Sexton has helped establish our law firm as one of the top full-service legal practices in the state, and we receive numerous positive reviews and referrals from satisfied clients. To find out more about how The Sexton Law Firm can best serve your needs and help you secure a brighter future for yourself and your family, you can contact our law office to schedule a free initial consultation. The Sexton Law Firm is accomplished in matters surrounding many forms of injuries and can successfully represent you and your family. The Sexton Law Firm family law practice is built on the notion that a divorce does not mean you should lose everything you have worked all you life to earn. The Sexton Law Firm provides excellent criminal defense representation to clients throughout the state of Tennessee. We have the knowledge and skill to handle criminal trials and criminal appeals. Our attorneys are skilled and experienced in all areas of DUI law. If you have been charged with DUI, it is imperative that you seek credible, professional representation in order to have the best possibility of reaching a favorable resolution. Do you have questions about filing bankruptcy, but you’re not sure where to turn? 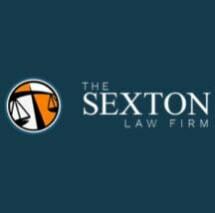 Call The Sexton Law Firm now at (865) 691-7900 for a free, no-obligation consultation with an attorney.